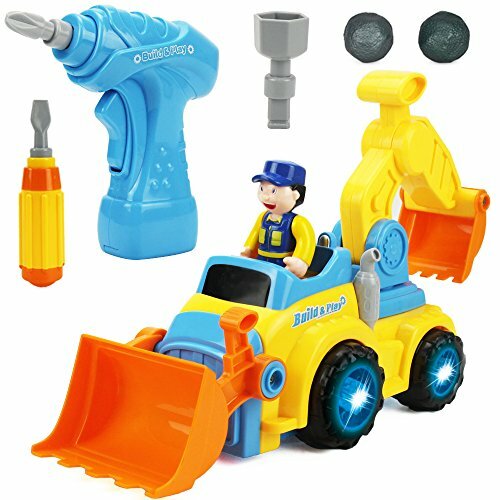 Educational Learning - Kids will learn how to take things apart and put them back together with this construction truck set and power drill. Battery operated drill and screwdriver make for easy assembly or dis-assembly. Turn on the switch, the motorized play vehicle moves around and will reverse when it touches an object. Also plays songs and lights up while moving. Replaceable parts include: clamp arm, backhoe, cement mixer and dump tray. Great educational learning toy! Simple to control - Power drill comes with three bits and is simple to control for little hands. To change the direction of the drill, just flip the switch on the bottom. The screwdriver requires two AA-size batteries (screwdriver batteries included). Kids can pretend that they are a variety of professional workers, inspiring them to pursue a career. Role playing stimulates and develops curiosity and creativity. Learning Recognition - Your child will learn the names and functions of different tools, recognize colors, shapes and object sizes while interactively playing. Feed your child's desire to know more construction vehicles and their functions by playing with them. This set exercises hand-eye coordination, practical abilities, logical thinking, imagination and creativity. Assemble an awesome cool tractor, disassemble, and build a new one again! Great Gift - The perfect gift for birthday parties, festivals and holidays (Children's Day, Christmas, Halloween, Thanksgiving & New Years). Give your child a gift that creates endless happy moments! Highly durable set for indoor or outdoor use including lawns, patios, living rooms, kindergartens, nurseries, playrooms and preschools. Great for unisex, baby infants, preschoolers, toddlers, boys and girls. 100% Safe - Meets compliance with EU EN71, US CPSIA & ASTM F963 standards. Environmentally safe, high quality plastic material. NOTE: car uses 3x AA batteries (not included). Drill uses 2x AAA batteries (included). 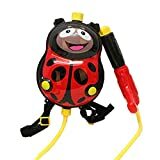 Amazing five in one toy! iPlay, iLearn is a caring, family business created by an Early Childhood Teacher and Mother, who wanted to ensure that all Children have access to fun,safe toys that assist in their development of life skills, motor skills and thinking processes, and help them start strong on their pathway of learning and success. This toy is one of iPlay, iLearn favorites as it has so many attachments that create a new vehicles. It is a front loader tractor, that can be turned into a cement mixer, a backhoe, a digger or a crane. Plus it moves around and plays songs ,and the attachments also move including the cement mixer rotating just like a real one. 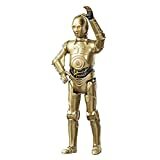 =Click"Add to Cart" yellow button above and get it for your kids or for your family!